Are you looking to remodel or update your bathroom? Gikas Painting & Contracting will help you through your remodel. Gikas bathroom remodeling professionals, are always ready to give you the best and most ideas. 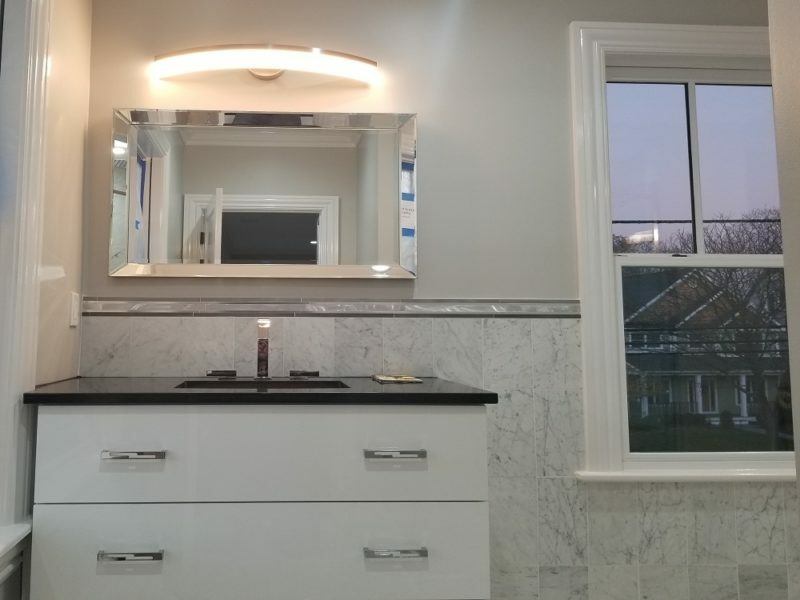 It all started with a phone call to one of our specialists bathroom remodelers, who remodels many bathrooms a year around in New Jersey. We can completely remodel any size bathroom, whether a small or a large. Whatever your budget, get in touch with our office and will find the perfect project for your home. One of our available estimators will come visit you, and give you the best ideas possible for your bathroom. Through out the entire process of your remodeling there will always be a project manager and supervisor to oversee and guide you through the right steps. There is no better time than now to call us for a free estimate! Trust Gikas Painting & Contracting for your Bathroom Remodeling! Bathroom Remodeling in New Jersey can raise the value of your home. Therefore, we are delivering Remodeling Services in New Jersey, for more than 30 years. We are using the best materials from the most famous lumbers in New Jersey and paint stores. As a result, we are one of the best contractors in New Jersey. For example, we are Best Of Essex three years in a row 2016, 2017,2018. Most importantly for us, is a long relationship with all of our clients. Alpine, Bayonne, Belleville, Bloomfield, Bloomingdale, Butler, Caldwell, Carlstadt, Cedar Grove, Chatham, Clifton, Demarest, East Hanover, East Orange, East Rutherford, Edgewater, Englewood, Englewood Cliffs, Essex Fells, Fort Lee, Franklin Lakes, Garfield, Glen Ridge, Glen Rock, Hackensack, Hamburg, Hanover, Hawthorne, Hoboken, Jersey City, Kearny, Kenilworth, Little Falls, Livingston, Lodi, Madison, Maplewood, Midland Park, Montclair, Montvale, Montville, Moonachie, Morris Plains, Morristown, New Milford, Newark, North Bergen, North Plainfield, Nutley, Oakland, Oradell, Orangeburg, Palisades Park, Paramus, Pearl River, Ramsey, Ridgefield, Ridgewood, Ringwood, Roseland, Roselle Park, Rutherford, Saddle Brook, Saddle River, Secaucus, Short Hills, South Hackensack, South Plainfield, Spring Valley, Springfield Township, Summit, Teaneck, Union City, Upper Saddle River, Verona, Washington Township, Wayne, Weehawken, West Caldwell, West Milford, West New York, West Orange, Westfield, Westwood, Woodcliff, Woodland Park and many more.